It's Mother's Day this weekend. If you just broke out into a cold sweat because you completely forgot – well, I can’t help you. Or maybe I can … I can at least tell you how you should spend this Mother’s Day (May 8) right here in Whitehorse. Every Mother’s Day for the past 19 years, Yukoners have been gathering at the SS Klondike Park to show their support for breast health awareness. Participants run, walk, cheer, volunteer and donate in the 4.2 km Run for Mom course around the Millennium Trail. The run, based on the national Run for a Cure, ensures that all money raised in the Yukon stays in the Yukon. Just last year, the run raised over $37,000 dollars, which went towards a new mammogram machine at Whitehorse General Hospital. 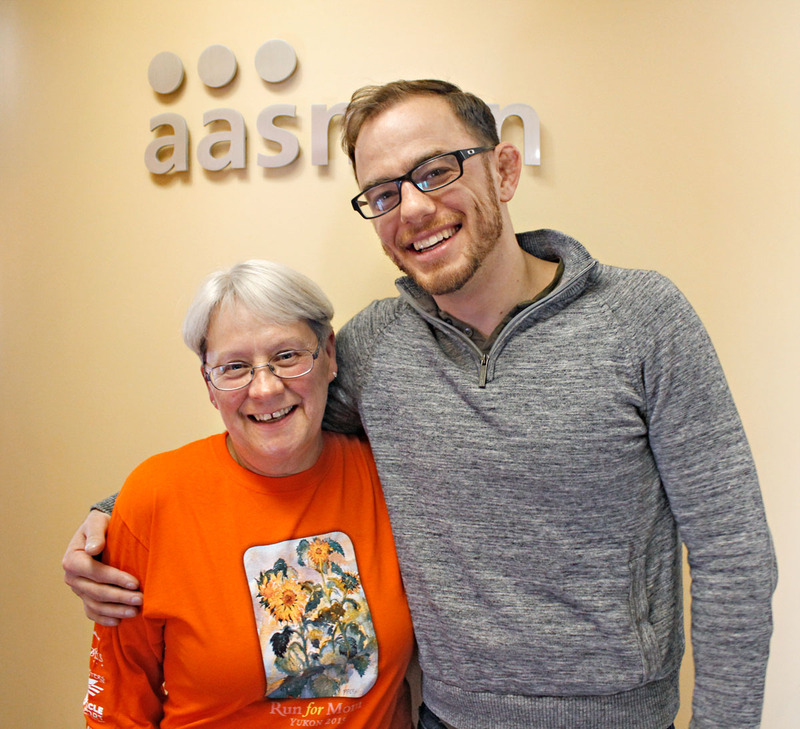 Meet Val Pike (seen here with Steve). 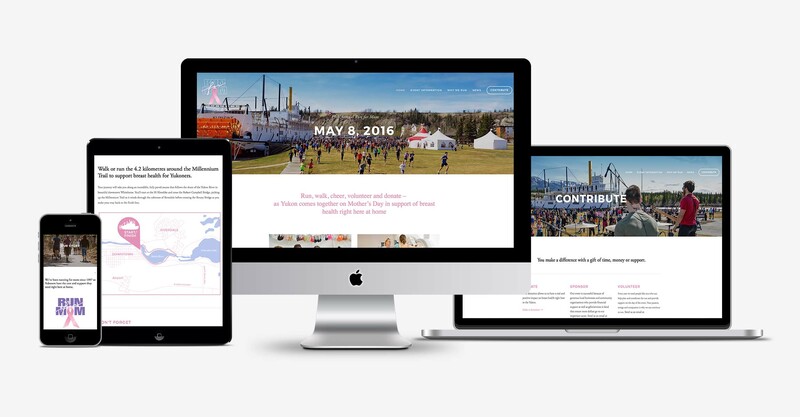 She’s been the driving force behind the Run for Mom here in Whitehorse since 2000 and we were lucky enough to work with her to refresh their current website this spring. Check out runformom.com to find everything you need to know, from registration info, to ways you can contribute, to the story behind the event. We hope the new site brings even greater awareness to an already great local initiative. So if you didn’t get that Mother’s Day card in the mail on time — fear not. Lace up those shoes and come down on Sunday for some fun in the—fingers crossed—sun.